There are a few distinct things when one thinks of Singapore is its unique hawker fare. 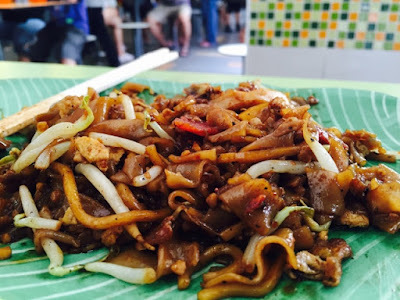 The food was delicious, affordable and accessible. Located in most neighbourhoods in Singapore, hawker food is one of the popular and source for residents living in the area. 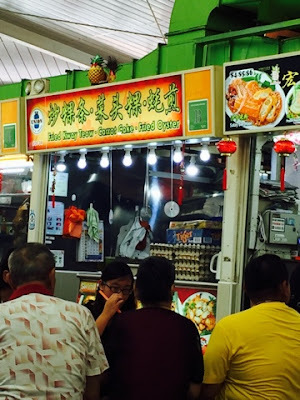 More popular hawker centres or food centres include, but not exhaustive, Clementi Food Centre, Kovan Food Centre, People's Park Food Centre, Old Airport Road Food Centre, and many more. 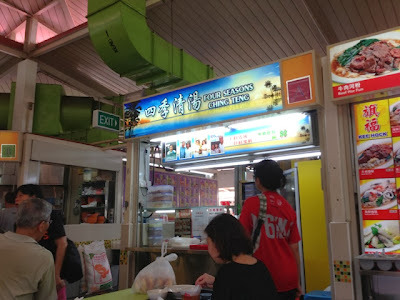 The Clementi Central Wet Market and Food Centre lies at the heart of Clementi Central neighbourhood. The hawker centre or food centre has developed over the years. Some stalls remains since its beginning and there were new interesting stalls. 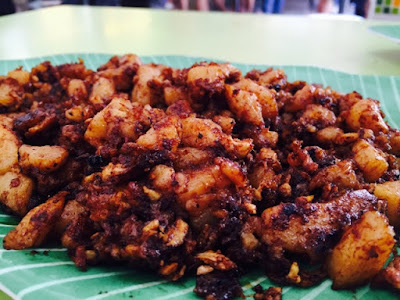 I cannot wait to try all the delicious foods at the Clementi Food Centre. 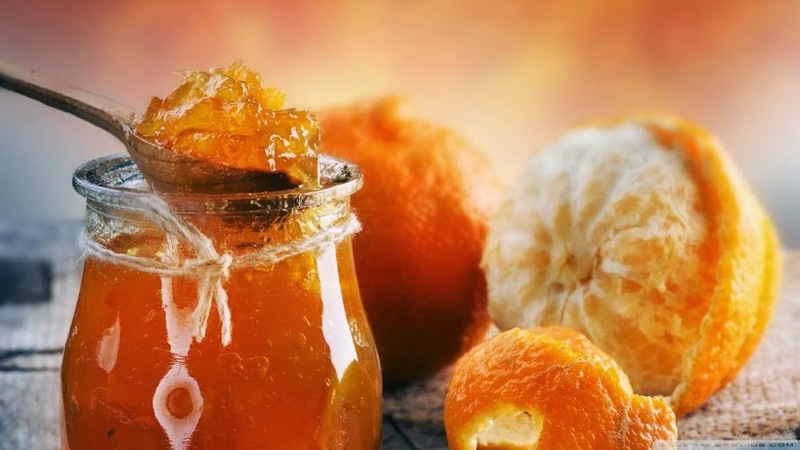 Do keep a lookout for more postings. This stall, unlike other zi char (cooked food) stalls, offers limited dishes. 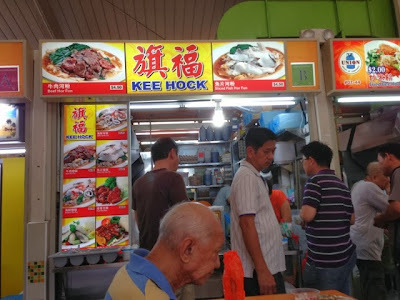 Their portions were huge and the food were delicious. 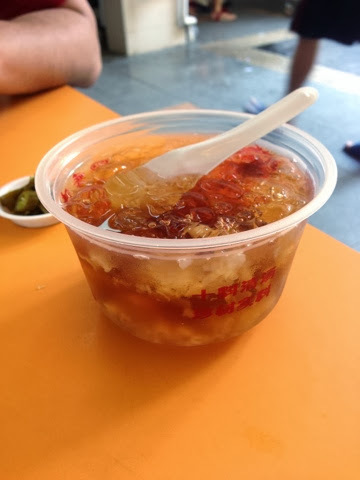 Cheng Tng is a healthy Asian dessert or drink that has 'cooling' benefits. 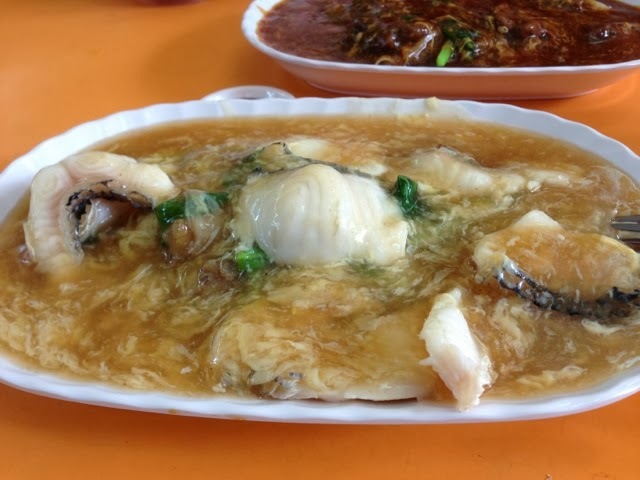 The soup usually contains white fungus, black fungus, lotus seeds, dried longans, barley cooked with rock sugar. If you love salads, why not try the Asian-Style salad called Rojak. You may order either a normal set of salad with fruits, vegetables and fried fritters or customise your order. 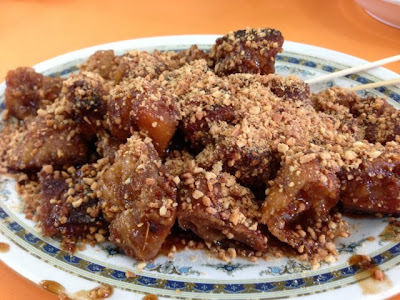 Rojak is known as a Singaporean-style salad served with beansprouts, cucumber, tau pok (fried beancurd), pineapple, and at times with fruits with peanuts tossed with prawn paste. 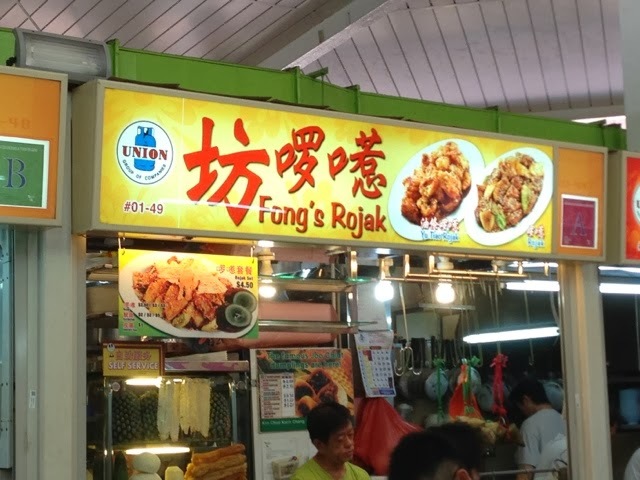 There are different variations of Rojak and we ordered rojak with purely you tiao. 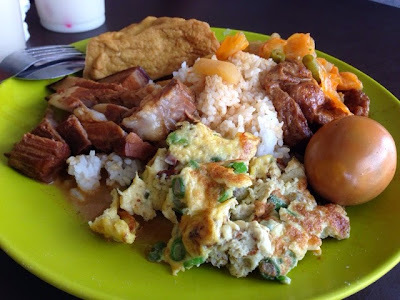 The Hainanese styled Curry Rice is defined by four key elements - Pork Chop, Curry Chicken, Chap Chye (or mixed vegetable stew) and Kong Bak (or Braised Pork). 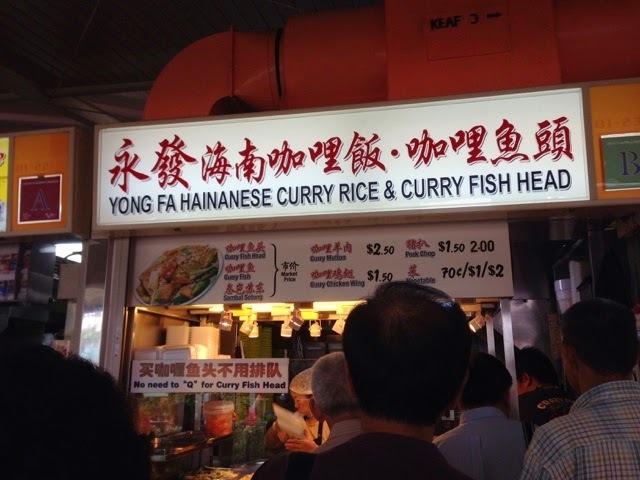 A very popular stall with long queues expected. 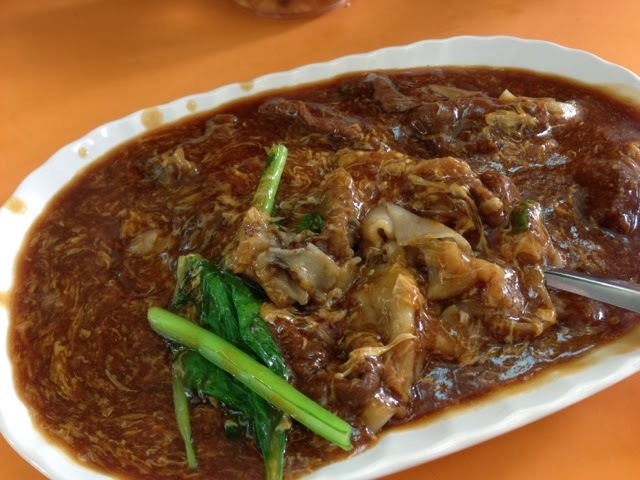 If you love mutton stew, you will love Soon Huat Cooked Food. 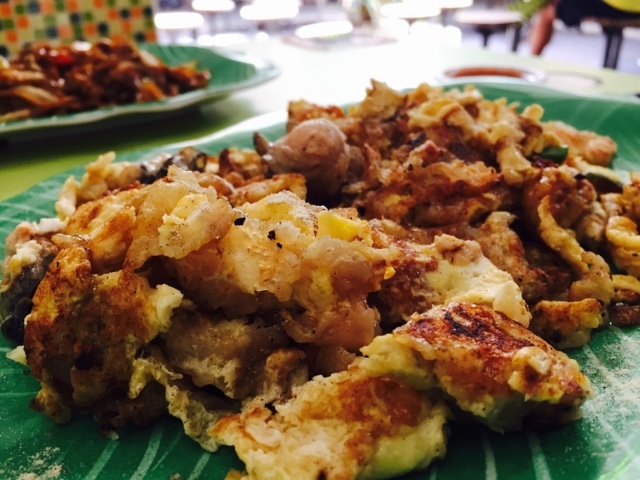 The cooking tasted so much like my mother's cooking aka home cooked food. The mutton was tender and flavoursome. The black sauce was thick and flavourful. The portion was generous and you will definitely have a hearty meal. I cannot wait to try out the other popular dish - Sesame Chicken.